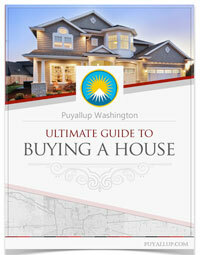 People in the Pacific Northwest love spending time in the great outdoors. Our lush and temperant climate lends itself to being outside without intense heat or cold. Even in the middle of the rainy winter, you can find us outside in waterproof jackets chasing adventure. Trails are extremely accessible in the Puyallup community. 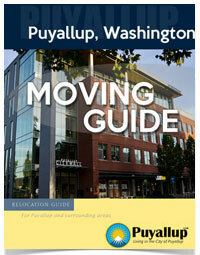 They keep people active and are a safe way to be outside without worrying about traffic or cars. Check out the trails below to inspire your next trail visit. Clarks Creek is a 4.2 mile out and back trail that features a river and is suitable for all skill levels. 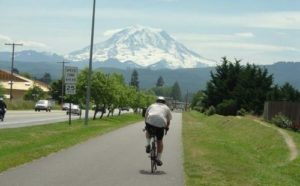 The trail is primarily used for walking, biking, and jogging and can be used year-round. Dog walkers are often on the trail, make sure you bring a leash for your furry friend. This 25-mile-long trail is a traditional route and recreational destination. The view of Mt. Rainer near Orting is hard to beat. 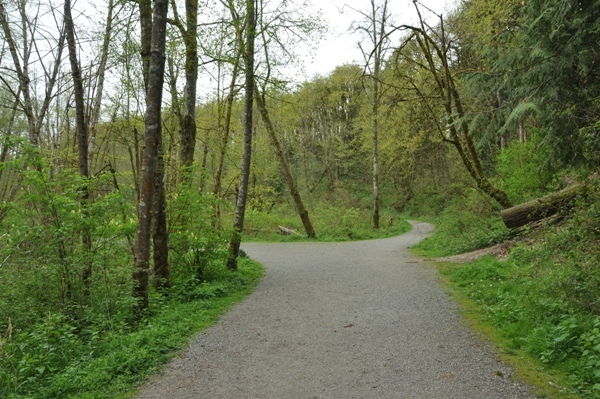 The Foothills Trail is a 12-foot wide asphalt trail. 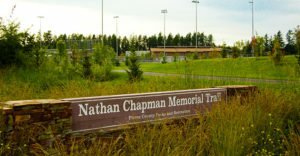 Bicycles, walking, in-line skates and wheel chairs are used on the trail (there is also a soft shoulder path for equestrians). This trail is used by all ages and abilities, from new bike riders to experienced cyclists. To read more about what this trail offers, click here. 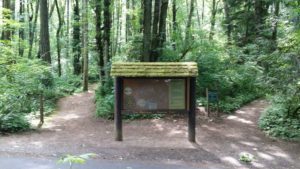 The Jim Martinson Exercise Trail is a 0.7 mile lightly trafficked loop trail located in a forest setting and is rated as moderate. The trail is primarily used for hiking, walking, trail running, and is accessible year-round. If you are looking for a good workout, a few loops of this trail is a good physical challenge. Dogs can use this trail but must be kept on a leash. This paved trail system is about 1.6 miles long and surrounded by trees, human-made wetlands, and lush scenery. 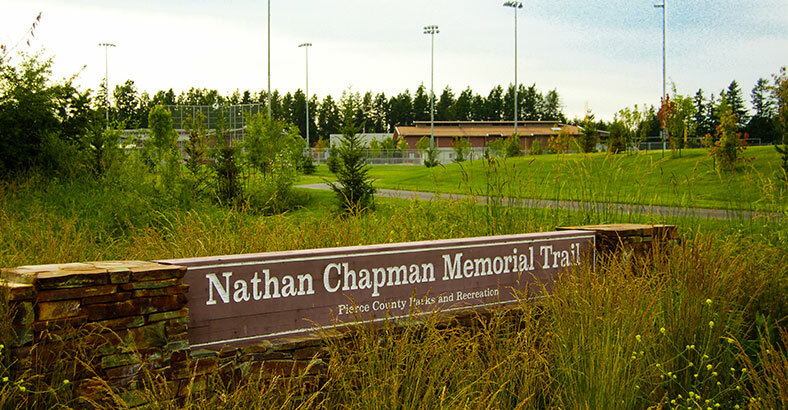 The trail is named in honor of Sergeant Nathan Chapman, a Green Beret and Puyallup resident who was the first U.S. soldier killed by enemy fire in 2002 in Afghanistan. 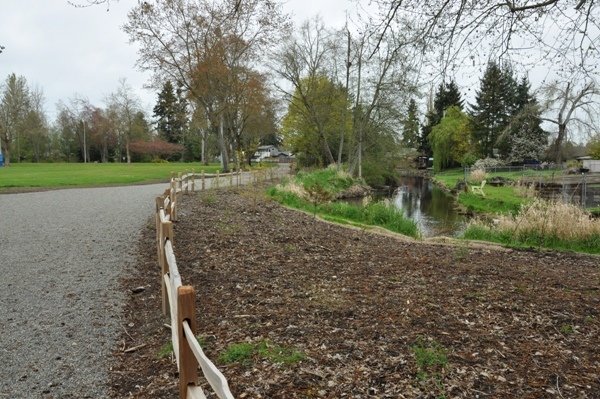 Swan Creek Park is a 290-acre greenspace nestled on the boundary between East Tacoma and Pierce. 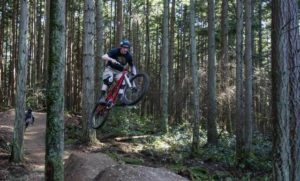 It is a beautiful park and features a mountain biking trail. 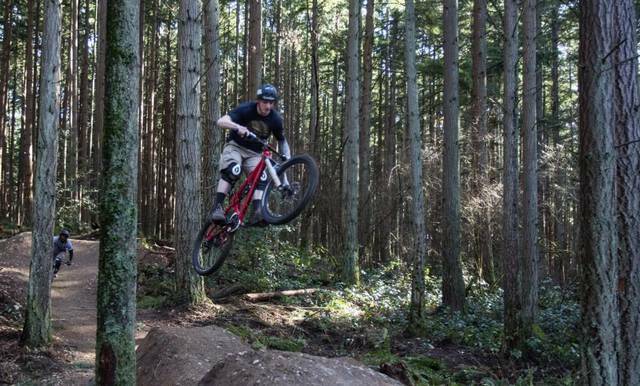 If you are a bit of an adrenaline seeker, grab your bike and hit this trail.